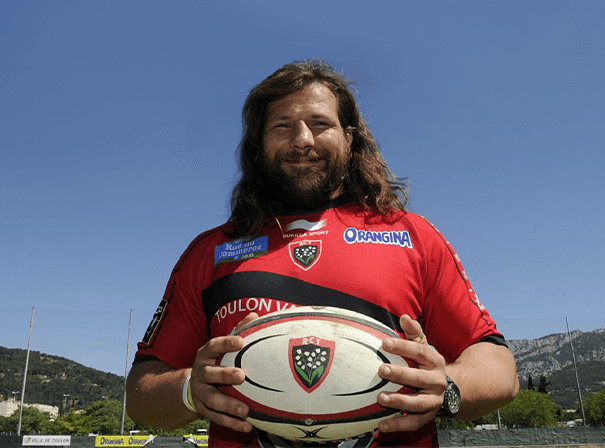 Although born in Argentina, Martin Castrogiovanni was a fearsome international test rugby player for Italy who played at tight head prop. One of the finest to play the game in that position from anyone in his generation, Martin remained a strict favourite with the fans during his time on the field, mostly with his domestic club side Leicester Tigers. Martin played at various youth levels for Argentina but went to play for his first Italian team in 2001. After five great seasons with them he then made the move to play rugby in England and immediately made a big impact in the top flight of the game. He was named the Guinness Premiership Player of the Year at the end of the season, his first in the country, and was the first Italian to pick up that award. He also went on to play for Italy in two different World Cups, all after having made his first appearance for the side in 2002 against New Zealand. It was in 2008 that he picked up his 50th cap and that came in the Six Nations. He has also amassed plenty of points in his career, including three tries against Japan in 2004, and being Italy’s top scorer during the 2008 Six Nations. For many season from 2007 to 2010, Martin was a key reason his Leicester Tigers side were so dominant in the Premier League. An influential player on and off the field, Martin Castrogiovanni will always be fondly remembered for his time in the game.